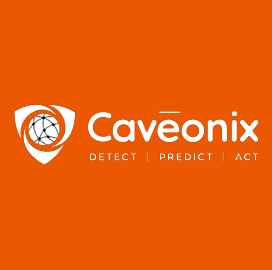 Caveonix has announced the availability of a risk management platform to customers who use integrated IBM and VMWare offerings that facilitate migration of workloads from on premises to a cloud environment. The RiskForesight technology works to help users address potential cyber and industry compliance risks to.cloud-based workloads, Caveonix said Tuesday. The platform is designed to work with IBM Cloud for VMware Solutions via an application programming interface level integration process. Caveonix and VMware partnered to create a hybrid cloud risk and compliance management service that could be available to enterprise customers on a rental basis. The offering builds on VMware products designed to support data center modernization, networking and security efforts in the cloud.